Likely, Ananias and Sapphira’s decision would have (it certainly should have) troubled their consciences but they went ahead with the deception anyway. When Ananias brought the money to the apostles, Peter confronted him about the deception and Ananias immediately dropped dead. It looks like very swift and well-deserved justice and that is how it is usually explained and understood. Satan had filled Ananias’ heart. We don’t know how Peter knew their secret. Peter accused Ananias of lying to the Holy Spirit. It doesn’t specify who, if anyone, killed Ananias or Sapphira. There is no indication that Peter knew what would happen to Ananias or that Peter condemned Ananias to a particular fate. Peter (or scripture) never said God would kill Ananias or made Him responsible in any way. Ananias and Sapphira had failed to follow through on fulfilling their vow or promise to pay what they had pledged as scripture says they should have done ( Deut 23:21-23). The term “gave up the ghost” is interesting. 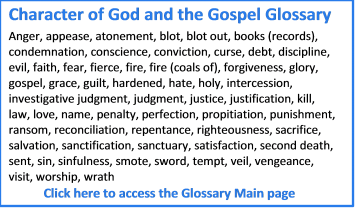 It is used 10 times in scripture (KJV) and 18 times when variations such as “yielded up the ghost” or “giveth up the ghost are included. With a few notable exceptions, the deaths were not violent deaths at the hands of others inflicting death. Those exceptions are Herod, Jesus and Ananias and Sapphira. We might learn something by taking a look at what “giving up the ghost” means. The case of King Herod (Acts 12:21-23) is dealt with here. Properly understood, he did not die as a direct result of an angelic blow. Scripture does not say how long after “the angel of the Lord smote him” he died and, in fact, history records that he died several days later. Both Jesus and Ananias and Sapphira yielded/gave up the ghost. They did it; it was not done to them. Why would anyone blame God for the deaths of Ananias and Sapphira when there is no actual evidence He did it and there is another, perfectly-logical explanation? We need to be careful what we charge God with. If God personally and directly took Ananias’ life, we have another problem. Think of Jesus’ encounter with the woman caught in adultery. What was His reaction? How did He treat her? Jesus stated that He came to help us know what the Father is like. Jesus’ statements that His character was a reflection of His Father’s character and the character Jesus showed as recorded in the gospels must outweigh (or at least make suspect) the description of a single incident where we think God executed justice by killing someone. That is especially true when the account does not even directly say that. We need to carefully examine the scriptural account and go by the weight of evidence. Anyone who will not do that “can’t see the forest for the trees” as the expression goes. So let’s see if there might be evidence that God was not responsible for killing Ananias and Sapphira. We have already seen the possibility that the trauma of having their sin exposed may have led to the sudden deaths of Ananias and Sapphira. Ultimately, they were to blame. But was anyone else responsible to any degree? Did Peter act as an accuser of the brethren, in this case? Peter openly exposed and accused Ananias before the apostles (“laid it at the apostles’ feet” – Acts 5:2) Jesus, when he replied to those who brought the woman caught in adultery did not openly expose them (John 8:8-9). He did the same in the case of Simon the Pharisee (Luke 7:40-43) and probably others. Did Peter follow the advice of how to deal with a man overtaken in a fault? Granted, that was written by Paul later but the principle should have been followed in the church before that. Peter did not have a record of acting in the spirit of meekness. Matthew 18:15-17 gives the instructions to first deal privately with one caught in a trespass, then to involve other witnesses if the private correction is not received and only as a last resort to make a public confrontation if the person remains unrepentant. And even then, the worst punishment was to be excommunication, not execution. Did Peter urge Ananias to repent? It is interesting that Peter wrote that verse. Perhaps, by later in his life, he had learned the importance of giving opportunity for and urging repentance. What was the result of Peter’s action? Did Peter Say God Killed Them? The story was similar in that an individual had a financial temptation and wrong motives. Peter’s reaction was somewhat similar and he actually went further than when he confronted Ananias in that he said to Simon “thy money perish with thee” suggesting he might have expected a similar fate for Simon as that which happened to Ananias. At least Peter here urged repentance. The difference was in the reaction of Simon compared to Ananias. Simon repented and asked for prayer and he may have reacted differently because of his different perception of the love and forgiveness of God. Or, he may have heard of the deaths of Ananias and Sapphira. Saul could have reacted like Ananias, instead he repented, followed God’s instructions and became Paul, the great apostle to the Gentiles. What About the Sin Against the Holy Spirit? Didn’t Ananias lie to the Holy Spirit? Isn’t that the unforgiveable sin and therefore worthy to be punishable by death? If one keeps ignoring the Holy Ghost, the voice of God calling for repentance, it will eventually be silenced or, better, not recognized. A person thus cannot receive forgiveness. It is important to know that the word “forgiven” is from the Greek word “apheimi” and is referring to forgiveness being received, not to forgiveness being granted. (Download a PDF file of an e-book looking at this in detail.) God, from His side of the two-part forgiveness transaction, always grants forgiveness. I recognize that some people will not accept the explanation given above. It may come down to how we want to see God. Some might want Him execute swift vengeance and, in some cases, that may be something they desire to see for someone else in their lives. Can you see Jesus doing that? How does this fit the overall message of scripture? Did Peter’s actions represent God’s character? What was the state of Ananias’ mind? Is there a reasonably-plausible natural cause of death? Does the Bible actually say who killed them? It is a serious thing to charge someone with killing another. We should be careful about so charging God without direct evidence. Your insights here are compelling! Thanks for such excellent food for thought! Thank you Ray for another example of what a great and loving Father we have. Good article, Ray. I have never considered if Peter was acting in righteousness or not. Perhaps not. However, there is the part where it appears as though revelation came to Peter that Sapphira would suffer the same fate, when she came in three hours later with the same story. Would the Holy Ghost participate in unrighteous behaviour that, as you point out, would tend to obtain a spirit of fear in the early church? Or was Peter just running to conclusions based upon what he just saw and making an educated guess? Interesting problem. “Satan has control of all whom God does not especially guard. He will favor and prosper some, in order to further his own designs; and he will bring trouble upon others and lead men to believe that it is God who is afflicting them” (GC 589.2). How did Peter know, before the fact, that Sapphira would suffer the same fate as her husband in this tragic event? Perhaps God or an angel revealed it to him. Many jump to the conclusion that this constitutes evidence that God killed them both. 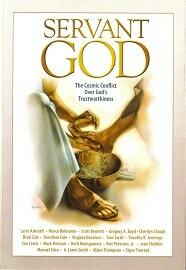 But is it possible that we have confused God’s foreknowledge with His active participation in this incident? Many times God gets blamed for facts that He knows (foreknowledge) but in which He had no involvement. Another incident that comes to mind is that of Jacob and Rachel deceiving Esau out of his inheritance. God knew before the fact that Jacob would steal this from Esau but had no participation in it, as Rachel so fervently believed. Just because God knows something will happen does not mean that He participated in it. We should always look to Jesus and the broad range of Scripture’s teaching on a subject before arriving at a conclusion. Good job, Ray and Kevin! You said; “It may come down to how we want to see God.” This appears to be your central guiding hermeneutic. But how is this any more credible than those who want to see God in a different way? Your algorithm of thought seems to begin with a refusal to see God as someone who would kill anyone. Therefore, any Bible story which seems to violate your wishes is somehow explained away. Yet, truth must stand independent of our wishes. We should be very careful regarding this. Also, we should avoid simplistic dichotomies and inappropriate assertions of general rules in places where subtleties and nuances might better explain things that are difficult to understand. Instead of starting with the issue of death, maybe we could gain insight by evaluating the concept of fear. Do you believe that God has been directly responsible for the use of fear to further His agenda, in the Old Testament, the New Testament or both? And if so, what was, or is, God’s rationale? Deuteronomy 19:20 gives us an important clue: “And those which remain shall hear, and fear, and shall henceforth commit no more any such evil among you.” It would appear that God’s use of fearsome things, including notable cases of death, however infrequent they may be, has the purpose of protecting others from making choices which would be harmful to themselves, to others and/or disastrous for God’s agenda of salvation for mankind. It would appear that in God’s agenda, fear has a role to play. Even the loving, meek and mild Jesus spoke many fearful things regarding hell. Perhaps instead of trying to mold these things to our will, we should learn to understand them in the context of God’s will and agenda. I suggest that fearful things have been “set forth for an example” (Jude 7) for hard-hearted people whom the message of love cannot reach (yet). Isn’t it amazing that God would use diverse methods in attempts to reach all different peoples? Let’s avoid subverting His designs by imposing our own myopic wishful perspectives. Wisdom is often guided by balance yet balance seems to be the hardest thing to achieve sometimes. The central truth I use as a guide is that God is love. Somehow, the threat of God killing me if I don’t line up (whatever that means) doesn’t do much to promote my love for Him. The concept of fear is certainly one that needs to be considered and I will. However, in the end, true agape love will always be a more powerful motivator. In this study, I have attempted to simply examine the facts of the case. I don’t believe I have imposed my own preferred paradigm. Ray’s note: I have responded within the following comment – my responses are in bold. Yes Ray!!! God is love but He is also Just. Please read (1 Samuel 15). (Vanessa, please read the gospels and think about the life of Jesus who came to show us what the Father is like. Incidents such as 1 Samuel 15 will be addressed as I get to them – or others have explained them.) Also, what Jesus did for all of us should be more than enough to promote our love for God not a self promotion as if we don’t love God It will stop God from being God. Ironically, for you Ray while trying to establish that a loving God is a threat to your well-being if you do not line-up. (Don’t know how you get that – I promote the exact opposite. God does not threaten us like He will harm us. Rather, He warns about the dangers of sin. See this page on my site with over 20 passages supporting that.) You manage to refer to yourself five time just like satan did when he was saying what he was going to do to overthrow God from being God. Ray’s note: below each of the two lists of five items below I have inserted the paragraphs Vanessa referred to and have italicized the five terms she referred to. Ray: what are the chances that in both paragraph in attempting to prove “your point” you had manage to respond by addressing yourself in the similar five ways as did satan in Isaiah 14:13-14. “For thou hast said in thine heart, I will ascend into heaven, I will exalt my throne above the stars of God: I will sit also upon the mount of the congregation, in the sides of the north: 14 I will ascend above the heights of the clouds; I will be like the most High. Wow, that is some stretch you make to compare what I wrote to what Satan said! I don’t believe I was attempting to exalt myself at all. I was attempting to exonerate God of false charges made against Him. I will not comment further on your charge – any readers can compare for themselves. I don’t want to take part in anything that could be seen as being an “accuser of the brethren” (Rev 12:10). In fact, if you examine my site carefully, I doubt you will find any obvious examples of that and, if you do, please let me know. Iniquity was found in satan which is “pride” – five letter with “I” being the middle letter. Satan’s response to Eve was also a five word response “Ye shall not surely die.” We must be very careful of our motives when we are trying to prove/disprove something from the word of God. Agreed Dear Ray, please consider the following questions: Did your examination fulfill the great commission? What soul did you win to Jesus by doing it? Eternity will answer those two questions. Do you believe that Angels in heaven are rejoicing? Let’s us stop blindly believing that we know God’s thought and remember that His ways and thoughts or higher than our own. I have a study in the works which will be titled something like My Ways are Higher Than Your Ways – watch for it. May God help us to work out our salvation with fear and trembling; so that one day “whosoever believeth shall have everlasting life” (John 3:16) and hear these words from Jesus our saviour “Well done thou good and faithful servant”(Matthew 25:21). In Jesus Name Amen. I can add my “Amen” to the last part of your comment. In Him we move…we have our being in Him. Seems to me nothing happens without God. Our days are numbered. No one goes home unless it is His time. Mene mene. His time, His timing. We need to be careful about putting too much on God as though He predetermines our destiny or controls everything. He is the Great Source of everything of course, but He has also given mankind complete free will. Most often, we, through our own (often foolish) actions, determine our “time.” The law of sowing and reaping is a principle of heaven. Many good points. I would add that the need to call in God denies Peter spiritual power that Jesus allows him in Matthew 16 and he demonstrates by performing miracles of healing during his time as leader of the Jerusalem church. The power to heal is the power to do harm, as all physicians know. It is absurd to think that God strikes down disciples for fudging on their tithes … Jesus was never about money. It is totally astonishing that nobody from the Church Fathers on has been willing to examine Peter’s conduct. Yes, interesting that Peter was so involved in that discussion in Matthew 18. He should have understood about forgiveness. When the original words are correctly understood it is apparent that God, from His heart, forgives every sin. The question is: do we receive that forgiveness or not? Good question yes, and not so much about Peter … he received Jesus’ forgiveness in the episode described in John 23 … as everybody since Origen, all complicit in the coverup. Slander God to defend Peter? Doesn’t make sense to me. It appears that Ananias and his wife were into “playing” church. God had enough of it and wanted to make them an example. We fall into similar traps by not enough self examination, reviewing our motives before we act. Yes indeed, they seemed to be playing church. But did God really make an example of them? Did God kill them for lying? If we are doing the same then shouldn’t God be justly killing us as well? If you are charging God with killing in this example you had better have more evidence than what the word reveals. Not only is the word of God made plain, but the Spirit of Prophecy reafirms that they both met the swift Righteous judgement of God. This the Lord did in order to preserve the church from being demoralize. We should be very careful not to judge by our own feelings less we find ourselves falling on the seducing side of Satan’s false interpretation. This article was not moved by the Spirit of God, but demonic forces twisting the word of God in order to bring even more confusion that already exists in the world. Thank you for your comment. I don’t believe my article twists the word of God at all. Which verse is twisted? The confusion exists because people think that God is a killer as is commonly promoted in Christianity. That, to me, would be demoralizing. It is quite the opposite here … when the passage is twisted to assume that God killed them, that serves as a stumbling block to others by misrepresenting God and pushing them away from accepting Him. Thank you Ray for diligently seeking the truth here. Was wondering why this account happened just when the church was established, which is based on the finished work of Christ. Why would God want to strike them down – it did not make sense. Thank you so much for this article! I infer death here to mean a separation from God, a literal giving up on listening to the Holy Spirit, essentially becoming something contrary to what God intended us to be. We see this in Paul’s life before his experience in Acts 9. There he encounters a man named Ananias, who, though he knows what Paul has been and done, heals Paul. Perhaps it is mere coincidence that the two mentions of men named Ananias both occur in the same book of the Bible, only four chapters apart. Perhaps it is mere coincidence that the man who would heal Paul and welcome him to the faith is someone who himself would have needed healing in his faith. But maybe, just maybe, God is willing to make use of all of us, even those of us who are broken, who have sinned against him, and who earnestly desire to repent of our evil selves. Isn’t it entirely possible that Peter killed them both? •	There is nothing in the account to suggest he did just as there is no suggestion or evidence that God killed them. Any fair system of law requires evidence before laying charges. •	Peter had previously been reprimanded for using violence when he cut off the ear of the high priest’s servant (John 18:10). •	Ananias is described as falling down dead in reaction to understanding that his deception was known (Acts 5:5). •	Peter would have been subject to investigation by Roman authorities for an action that Rome did not allow. Let’s prayerfully hope that your motivation for examining the biblical account of Ananias and Sapphira was God-birth; otherwise you will be responsible for any souls you led astray by your examination of this story. Vanessa, if you see anything incorrect in my examination of the account of Ananias and Sapphira – the verses I have quoted or the reasoning used – please let me know. In pretending that they had given all, Ananias and Sapphira lied to the Holy Spirit, and, as a result, they lost this life and the life that is to come. AA, p. 75. I will tell you what I believe God showed to me in vision concerning what killed Ananias and Sapphira. I was shown that by lying to the Holy Spirit, Ananias and Sapphira so thoroughly separated themselves from the only Spirit that sustains every atom of all life, that they perished. In other words, God so thoroughly recoiled from their sin, that His life-sustaining Spirit presence was totally withdrawn, and they perished. This demonstrated the repugnance with which God regarded that particular sin at that specific time. That is a scary God you are describing – He kills people for lying! Seems to me that wouldn’t attract many non-believers to follow Him. The important thing is not what we think has been revealed to us but what the Word actually says. There is no evidence there to pin the guilt on God. They lost their lives as a result of their deception, yes, but isn’t it possible (as pointed out in the article) that they were overwhelmed by their guilt as opposed to God directly killing them? It can’t be ruled out. The moral of the story is simple, despite whatever angle you take on the event, and that is, keep a clean and honest walk with Jesus, and don’t take Him for granted. Amen! It is so comforting that Christ forgave the paralytic lowered from the roof in spite of the fact that the paralytic did not even ask for forgiveness. Christ forgave others that way as well. But many think that the Father cannot forgive unless there is a blood sacrifice in which case Christ did not give an example of the Father and the Holy Spirit. Zacchaeus was forgiven in spite of many lies and for cheating so why would Christ not have forgiven Ananias and Sapphira when they were confronted and if they owned up to it? There is record in medical histories of many people who have died when they experienced severe stressful news. I love this deep look into the history and meaning behind Acts 5. I do have a question that wasn’t addressed above, however. It has always perplexed me. When his wife comes in, he seems to know she too, will die. He speaks as someone who has control or foreknowledge of her pending death. In the reality that we are presupposing, where Ananias is killed by guilt/sin/brokenness…it seems like peter (though seemingly acting harshly) could accuse him but not know that he would perish. Additionally, how could he speak directly of his wife’s demise? Would she not have opportunity for repentance? IF these things were revealed to him by Holy Spirit, then wasn’t he acting in accordance with HS in his actions/speech? If, for instance, he was given foresight by HS that Sapphira would die after he brought the charge before her, wouldn’t HS also tell peter to handle this differently if that’s not what he wanted? So if we conclude it wasn’t knowledge given by the HS, how do we explain Peter’s direct words about Sapphira’s impending death? We cannot say that sinful betrayal and immediate death go hand in hand. On the contrary, that was what Christ preached against. I seem to continually get comments where people are assuming things. We get our best understanding by sticking to just what the Word says, by comparing with other scripture and by using sound Biblical principles as we seek to understand a passage. Commenting on your questions, Peter seemed to know that Ananias’ offering was not the full sale price of the land and that could have been by divine revelation or some other source. We are not told; we don’t even know if Peter had ever met Ananias before. Peter’s words to Sapphira might have just been an off-hand remark. He may have seen her as equally guilty and therefore equally likely to have the same reaction. You’re right that Peter may not have known that Ananias would die. It would be an assumption to say that Sapphira (or Ananias) did not have opportunity for repentance. They each “gave up the ghost” Peter did not execute them. They could have repented and confessed had they chosen to do so. We know that Peter did not always act in accordance with Godly methods. I would say that a Biblical principle is that God is ever merciful (Psa 37:26). Either He is or He isn’t. God does not cut off people’s opportunity to turn to Him. People cut themselves off. I know God is Love-John 3:16! Saying God is a killer is a harsh statement. God is slow to anger and yet the wrath can come down. Numbers 16:32 when he open the earth and swallowed up some men! Nahum 1:5 God is jealous, not to bow down to no other gods. Look at the story of Job 1:21 the Lord, gave, and the Lord hath taken away. The list goes on. But as to be afraid? Would you want your kids to be scared of you? I know I wouldn’t!! But we should have a godly fear that we wouldn’t want to hurt Christ. Knowing that the Salvation belongs to the Lord. I know I have been bought by his precious blood. And since I don’t own myself I’m trusting Jesus. However he takes me! Rather by the air or the grave! No matter what or how, God is always good. Do I believe God kill them? Hezekiah’s gotten 15 more years added to his life. He had to get right first. Lord told him or he would die. I believe were in the protection hedges. Nothing can get to me unless God allows it to. Just like Ananias, and Sapphire. Being disobedience is always a price. I for one know that. If I don’t surrender my life back to God. I don’t know how long suffering he’ll be with me. If anyone sees this?! Please I’m begging you say a prayer for me! I know Christ has been waiting for me. Just I need the strength! I’ve been letting the cares of this ole life bring me down. I can try to give you an excuse. But in reality!! There’s none! Thank you Stacy for your comments. I sense a desire on your part to truly trust in God. For each of us that is a growth process. It really helps the process to resolve some of the contradictions. You say you wouldn’t want your kids to be scared of you. Well, neither would God. (2 Tim 1:7) Many people are scared of God because of the things they read in scripture – they do not see God as loving at all. You profess that God is love in spite of seeming to believe that He has killed on occasion. I would encourage you to investigate carefully some of the stories you have mentioned and hope this website will help you with that. A careful reading of the account of Ananias and Sapphira will show that there is really no evidence that God was responsible for their death. When Ananias was confronted with his sin he could have chosen to confess and repent of his sin. God is seeking to protect each one of us from Satan, the destroyer (https://characterofgod.org/satan-the-destroyer/). But He does respect our free-will choices and when we remove ourselves from His hedge of protection Satan has access to attack us. You are right – there is always a price for disobedience. In a sense, disobedience is simply ignoring God’s warning not to do things that will hurt us or others. He is constantly trying to protect us and bless us; we just so often make it hard for Him to do that. I stumbled upon your article while searching for commentary on the story in Acts. It’s a hard story to grasp. It seems like the death sentence for lying in any sense is really harsh, so I was wanting to see what has been written about this. But I find your interpretation to be off. I think the Bible is actually quite clear that the deaths if these two was judgment from God. I know it doesn’t say it directly, but any rational mind would interpret it that way. Also, there’s really no reason to think that Peter was in the wrong here. In previous chapters, Peter is spoken of righteously and full of the Spirit. If in this story he was acting wrong, wouldn’t scripture reveal that to us? Just like Nathan revealed David’s sin and Jesus revealed Peter’s sin when he denied him three times? It wouldn’t make any sense for God not to reveal Peter’s sin here if he in fact was in the wrong, especially with an event with such heavy consequences as this. Because of that, I think it’s clear we should take it as something right and truthful that God did. Certainly God taking someone’s life doesn’t mean He isn’t loving. It just means he’s giving that person what they truly deserve. We should be outright humbled by how much mercy and patience He DOES give us. My thought on why He took the lives of these two early believers is because of how pure and unified in the Spirit the church was at that time. So any “leaven” of sin could threaten that purity and unity. God judged it to keep that from happening. Now does that mean Ananias and Saphira went to hell? I don’t think the scripture is clear on that, nor can any of us truly know. But what we see, I think, is clear judgment. Let’s not forget, God calls us to love and fear Him. Fear is another way of saying respect or reverence. He placed this truth in marriage, actually. Husbands are called to love their wives, and wives to respect their husbands. Love and respect. You can find that at the end of Ephesians 5. God bless. The problem is that we interpret scripture according to the lenses through which we understand the character of God. I do not see which words in Acts 5 make it clear that the deaths of Ananias and Sapphira were a judgment from God. We should be careful about accusing God of something for which there is no evidence. We should not assume just because Peter was an apostle that everything he did in the book of Acts was righteous. Even Paul found fault with Peter in one incident (Gal 2:11). The story is hard to grasp (in its true meaning) because of the conceptions we have of God’s character and that is what I am trying to shed more light on in this website. Today is Wednesday August 15, 2018. So I google and struggle to find answers about the couple’s death. And I find none that I can see a good logical point of view. Perhaps I don’ t read much of long confusing explanation. The writes fail to simplify their explanation. To me, it seems cruel, illogical, and unfair. If the couple were NOT involved in assisting God’s work financially, a little or a lot, they would NOT have died and left behind their children and other loved ones. It’s quite unfair. Since when did the couple have an “absolute obligation” to suffer themselves – to the max – financially and emotionally just so God’s work could go on? This act is more like a robbery – don’t lie to me – give me all or die! What about those who don’t give a penny to the church? What would have happened to them? This outrageous story is not just sad. It’s outrageous and it is quite contrary to Jesus daily work. Jesus went about and healed the sick and raised the dead. But here a good couple, accused of lying to the Holy Spirit, got killed instantly without a chance to understand their guilt. His wife did NOT lie – she says “yes!, for so much”. Outrageous. For me I would ONLY listen to Jesus’, or any of His angels’, explanation on the matter. People can complicate the problem. If you got a fair point of view please help. I’ll listen. Thank you Leang for your comment. It is a difficult story. And, you’re right, that if God was responsible for their deaths, it would be outrageous and inconsistent with the example of Jesus’ life. Most explanations do not address the inconsistency and are thus confusing. That is why we have to analyze it carefully and not put our own assumptions into the story. I think my article offers a plausible explanation of what may have happened without putting the responsibility on God. Just a clarification on one point. Sapphira did lie if we understand Peter to have asked her whether they sold the property for the amount Ananias had stated. There is no indication that Peter knew the true sale price and, if he didn’t, he could not have asked her that. Thank you, Ray, for additional thought on this controversy. Here at this point I’m still confused when you assure that Sapphira “did actually lie” about the amount of money they made from the sale of their property. I don’t see her frank response that way, however, when she quickly replied; “yea, for so much”. Her reply seemingly was prompt and sincere, honest, and genuine even though this was about her own property and the decision also was hers to make. Apparently the good couple were not at liberty to even keep a portion of their money to comfort their own feeling. Quite puzzling, and I know I can’t never understand the intention or the true meaning of this story in God’s word. To my mind, she apparently “did not” make an attempt to lie and deny the truth. And the Bible even tells us that Sapphira was not aware of any thing that could go wrong after she made a decision how much she wanted to give and to help God’s work. Later on she came and joined the group. At that moment I imagine that she approached the apostles with smile on her face and with a happy heart but wondered why her husband was missing for so long. Here at this point and time, my good Lord, she didn’t realize her husband had died 3 hours ago and no one even bothered to tell her that horrible outcome. She too dropped dead seconds later after she heard what Peter had to say about her husband. What a story, really. I can hardly believe this story is from the word of God, the Bible. And I thirst for the truth why the loving Spirt of forgiveness, God’s true nature, was absent at the time and a vicious spirit was there to kill a good hearted couple? How did the Holy Spirit interpret an act of lie? A lie with evil intention to do evil thing? Or just any lie in any shape or form at all to the Holy Spirit – and you’re dead and hopeless? It’s mind boggling. Shake head in disbelief. Leang, I’m glad you are still working to understand this story. Peter asked if it was sold for “so much” (it seems he must have named an amount but the exact amount is not relevant to the story and Luke omitted it.) and she said yes. He would have known the amount that was presented as an offering but would not have known the real amount of the sale. If Sapphira’s response was “sincere, honest, and genuine” (I don’t know where you got that from) then Peter was very wrong in saying to her what he did. The couple was absolutely at liberty to give any amount or none at all. “… God loves a cheerful giver.” (2 Cor 9:7). The problem was their deception – presenting their offering as though it was the sale price of the land but keeping some back. This story can seem out of place in the Bible if we interpret it the wrong way. Be assured, God’s true nature (“He is ever merciful …” -Psa 37:26) was not absent. He forgives every sin. Ananias and Sapphira chose not to accept that forgiveness. 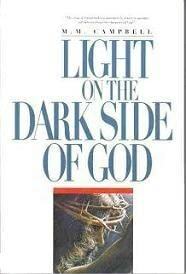 I would suggest you request a free copy of the book Light on the Dark Side of God from my website. It will help you to see a beautiful picture of God and His loving forgiveness. I am wondering how you read and interpret the chapter in the book, the acts of the apostles chapter 7? It seems Ellen White sees this as a judgment/punishment, though seen from the larger perspective of the cosmic warfare against Satan, this happened for the sake of protecting the church from apostasy. I note that, later in the Book of Acts, Peter is given greater revelation of God’s character. 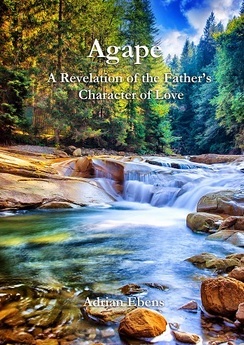 I read in Acts 10 how Peter is given a vision that leads to him seeing that God accepts, not just those who follow Jewish law, but everyone who “fears him and does what is right.” (from a later writer, we learn that God is love and that he who still fears is not yet made perfect in love because perfect love casts out fear – 1 John 4:18). My point is that Peter is clearly on a journey. At the point of the incident with Ananias and Sapphira (Acts 5), Peter is at a less-mature stage than he is led to in Acts 10 (and certainly at a less-mature stage than the writer of 1 John). It would therefore not be unreasonable to draw the conclusion that he did not necessarily act in the most mature way in the situation with Ananias and Sapphira. Thank you for all you’re doing on this site. Thanks Stephen. Good point. All the prophets and Bible writers were on a journey, as we are, to mature and understand God better. They made mistakes along the way but God used them and He is willing to use us as well. If God killed Ananias and Sapphira then God is Satan. Isn’t it clear that Peter’s cult was communism and Ananias and Sapphira believed in private property? It could be reasoned that if God killed Ananias and Sapphira then He was operating by Satanic principles. God is the author of life, not death. Scripture refers to death as an enemy. I understand that there was a degree of communal sharing among the early Christians somewhat out of necessity because of the persecution they were under for their change of faith. Ananias and Sapphira had every right to hold private property and that was not a problem. What condemned them was the guilt they felt from their deception of representing their offering as the full price of the land they had sold when it was only a portion. Or Luke 13:26-28, where evildoers are thrown out (actively) of heaven by ‘the houseowner’. Or Luke 12:46, another parable with death as judgement when the King returns. Or Romans 1:16, God’s wrath is being revealed. Or Romans 1:6-8, wrath and anger comes to self-seeking evil-followers. Or Jude 5-7, which says God has destroyed those who didn’t believe in the past and will do it with eternal fire in the time to come. Or Revelation 20:13-15, where each is judged according to what he has done. It seems quite clear to me that it is in God’s character, and in Jesus’ character, to inflict punishment for sin. And fear/reverance/awe is an appropriate response even as we trust that we are safe in Jesus. I don’t think Gid being perfectly loving means that He is always merciful. Thank you for all your questions. They are obvious ones aren’t they? The correct understanding of those verses very much depends on our viewpoint. Through which lens are we understanding the law (imposed or natural/consequential)? Are we using our understanding of justice or God’s? Are we using the Bible’s definitions of words or man’s? Are we carefully comparing scripture with scripture? While God is always merciful, to some (who are not merciful themselves) He does not appear that way because of their interpretation of His character. This connects with “For with what judgment ye judge, ye shall be judged …” (Matt 7:2) but that is another topic. It is easy to see how atheists can see Christianity as nothing more than a protection racquet. There is punishment for sin but, again, how does the Bible define it? Punishment is God allowing us to receive the consequences of our own actions. He hands them over, gives them up (see Romans 1) to their choices. And I hope you understand that the fire is not unending as defined by several scriptures such as Jude 7. But that is another topic. And the fire that those who reject God will endure, properly understood, is not a case of physical torture by fire. See my e-book on the Lake of Fire. This is a more difficult verse to resolve but it must be remembered that it is a parable. Many parables were spoken to make a particular point but they were given in the understanding of the people of that time. In a case like this, we must look to the life of Jesus and what He actually did (or didn’t do) in reaction to those who spoke against Him and mistreated Him. The end result of those who reject the savior will be eternal death. This is similar to the verse already discussed. The wrath of God is revealed (v18) … because they rejected God (v19-23) … wherefore (or therefore) God did what? – He “gave them up.” Because of their rejection, God’s “wrath” was revealed. How? By Him allowing them to have the consequences of their choices (to reap what they had sown). •	in His absence Trouble comes. This is a pattern of which I have found over 70 examples in scripture. God’s ways are not man’s ways. I think you were looking at another passage? Mitchell, I want to answer all your questions but can only devote so much time to this, so, from this point on, am going to answer some by referring to other sources. I like to give detailed explanations where I can but that takes a lot of time. More answers to specific questions will be added to my site as time goes on. It is a principle in scripture that God is often said to do what He merely permitted or allowed. This has been well understood in the past but many people have forgotten. Also see this page about Divine Accommodation. And study re destroy/destroyer. Satan is the destroyer. In Exo 12:23 God was not protecting the Israelites from Himself. Verse 6 “Left their own habitation” Notice the angels left indicating a willingness on their part. Verse 7 “Suffering the vengeance” – see the article “Vengeance” by Floyd Phillips on my site. See what I have included already regarding vengeance. See what I have in the glossary about judgement. Note that they depart from Him. It is a result of their choices. It is somewhat like Jude 6 that you quoted. Jesus is just stating the reality of the situation. This is referred to in my e-book mentioned above. When I read this story in Acts, it does not seem to be in any way pointing to the faults of Peter. In fact, in the next few verses it talks about people being healed just by Peter’s shadow. It is obvious that God did kill people in Scripture, as hard as it is for us to accept. Matthew 10:28, ” And do not fear those who kill the body but cannot kill the soul. But rather fear Him who is able to destroy both would and body in hell.” That was Jesus speaking. It isn’t an easy verse, but it is truth. Many of the points I made about Peter are not substantiated from the story of Ananias and Sapphira alone, you are right about that. However, a point I keep making is that we need to take all of scripture not just isolated texts (Matt 4:4). Regarding Matthew 10:28, take note that the word “Him” is not in the original. It is sin that kills – see https://characterofgod.org/2016/03/sin-destruction/ for texts that say this. I find it interesting we all have read the same scriptures and come up to many different, sometimes subtle, understandings of what was written. One thing that comes up in my mind is that many find it difficult to believe a God of love would actually kill. I remember going through a study which approached that issue. I think about it like this…if God is a loving father, then chastisement (correction) is part of our relationship with him. Doesn’t scripture teach us that God is sovereign, life and death are in his hands, we are more than our physical bodies? If that is the case, then God can take us off this earth whenever he decides to, and he would because he does love us. For example, if I am continually being destructive to myself or to others around me, wouldn’t a loving Father God, take me out of the situation, the place, for my good and the good of those around me? So, the idea is plausible that God (Holy Spirit) actually did kill them. So, either understanding is plausible for me. Although, for Ananias and Sapphira to die because they were so distraught by being caught in a lie seems a bit much. Unless, in their minds, their belief and understanding of God was that anyone who sinned against God would physically die. Another short thought is the idea of Satan actually being a real entity that can inhabit people and make them do bad things. I have changed my belief on this. I believe that satan means adversary and it is our own thoughts and deeds which can become adversarial to God and his desires for us. Ray, I want to say I deeply appreciate your non adversarial responses to those on this blog of yours. Thank you for sharing your thoughts. I would like to respond with a few thoughts, of course, in a non-adversarial way. You are right that there are so many different understandings of scripture – we come from many different backgrounds, traditions etc. God may discipline at times, yes; as it is appropriate for us to do with our children. However, discipline means to disciple, to teach, to turn a person in the right direction. There is no such benefit if “discipline” goes as far as death. God is life, the source of life; it is Satan that brings death (also nature gone out of control and man whom Satan has influenced). To God, death is an enemy (1 Cor 15:26). The pattern showing how God deals with those being destructive or otherwise persisting in sin is shown in many examples on this page. If God started “taking out” anyone being destructive, the earth’s population would dwindle very quickly. 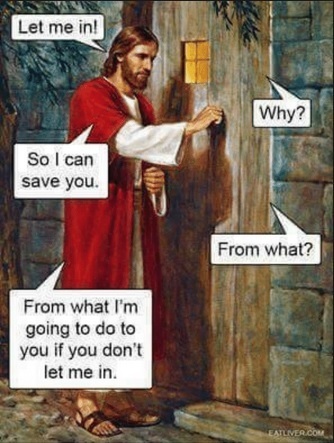 That would be using force, which Jesus’ example shows He would not do. Either understanding could be plausible at first read but when you compare carefully and think about, it there are lots of problems. The threat of God taking me out when I become a little too destructive makes Him into my enemy (at least potentially) and not my friend. Satan – the word – does mean adversary but he is a real, physical, living adversary. Read all that the Bible says of him and it is quite clear.